This nine-week whole-church resource explores what it means for a church to be a community with a message and a mission to the world. This Leader’s Kit contains everything you need to evaluate, plan, promote and run an engaging and immersive program with your church. Watch the First Session here. 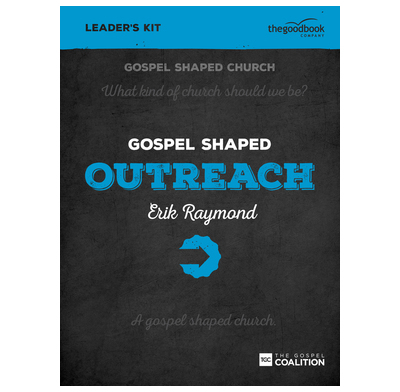 Inside the Leader Kit box you will find a copy of the Leader's Guide, a copy of the Member's Handbook and a copy of the DVD containing nine teaching sessions presented by Erik Raymond (running time: 140 minutes). Please note, this DVD is available in NTSC format only (All modern DVD players play NTSC in the UK). 7.6" x 9.5" x 1.6"